Where is America's cheapest gas price? You think the gas near you is getting cheaper? Try filling up in the South Carolina city of Rock Hill. That's the market with the nation's lowest gas price heading into Labor Day weekend -- an average of $3.09 a gallon, according to industry observer GasBuddy.com. The good news for drivers is that prices like that could come soon to a station near you -- as long as you don't live on the West Coast or some other pockets of high-priced gas. The nationwide average price stands at $3.44 a gallon, down about eight cents from a month ago and nearly 12 cents from this time last year. 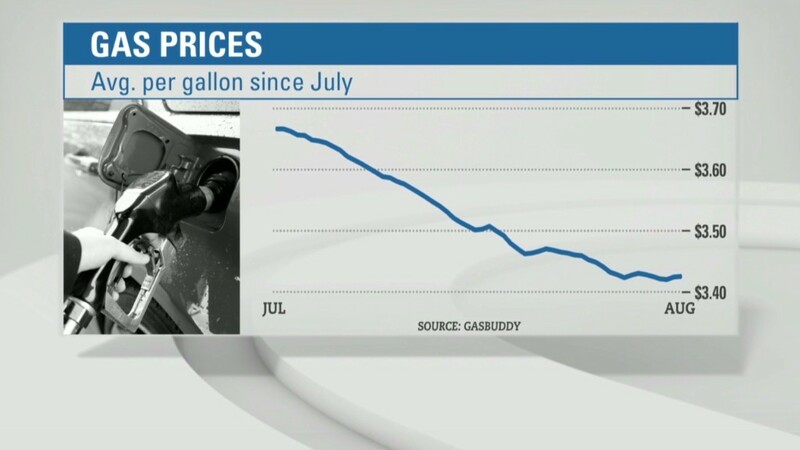 The summer driving season will end with the cheapest Labor Day gas prices since 2010. And prices will drop even further when stations stop selling the more expensive summer blends of gasoline in late September. Related: What's the gas price in your state? 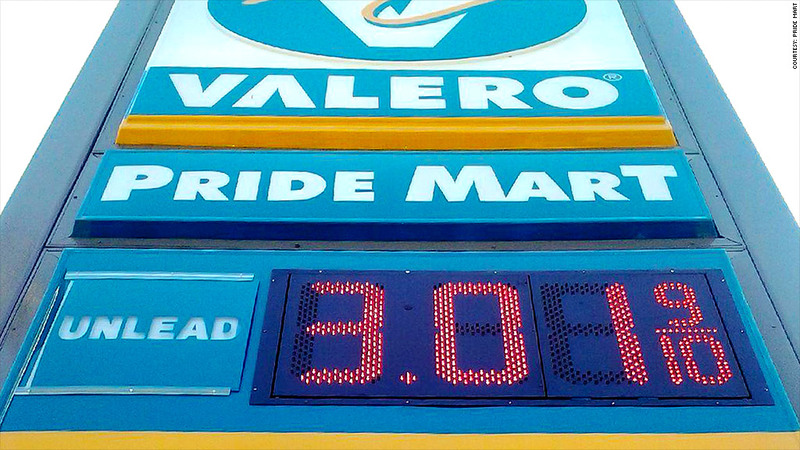 "We think the national average will bottom out in the $3.15 to $3.25 range later this year, but that is actually inflated by the high prices on the West Coast," said Tom Kloza, GasBuddy's chief oil analyst. "From the Rocky Mountains, east, most people will be able to find gas at or below $3." Gas prices are already approaching $3 a gallon in parts of South Carolina, and prices at or below that level could be common later this fall. South Carolina is the state with the lowest statewide average with an price of $3.17 a gallon. "South Carolina has one of the lowest state gas taxes. And states supplied by Gulf Coast refiners, they tend to have the cheapest wholesale prices," said Kloza. Kloza said the Gulf Coast refineries are producing gasoline at record levels right now, helped by the fact they have avoided disruptions from hurricanes or major accidents this summer. Drivers are also benefiting from increased production of U.S. crude, which has kept oil prices below global averages despite unrest in the Middle East. The increased fuel economy of U.S. cars, which has limited demand for gas, also helps. Finally, low natural gas prices are helping to keep gasoline prices low, since refineries use natural gas to heat the crude oil in order to refine it into gasoline, jet fuel and other products. There can be short-term disruptions, such as hurricanes or refinery accidents, that could cause gas price spikes. But Kloza said he expects the downward pressure on U.S. gas prices will continue for at least the next few years.